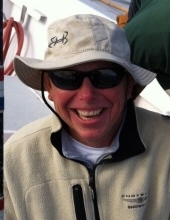 Celebrating the life of Robert C. Schumacher, Jr.
Obituary for Robert C. Schumacher, Jr.
Robert C. Schumacher, Jr., a resident of Goodyear, Arizona and a former resident of White Lake, Michigan, died on October 20, 2018 after a valiant battle with pancreatic cancer. Bob married the love of his life and personal chef, Gina Schumacher on October 3rd, 1986. Bob and Gina were blessed with an extremely handsome son, Robert Chester Schumacher III, on July 19th, 1994. From that day on, Bob had his best friend, a fan to root for, and life-long hunting buddy. Bob was the most amazing husband, father, brother, uncle, son, cousin, godfather, and friend anybody could ever ask for. Bob spent most of his free time in the woods where he liked to chase around animals that he would never get close enough to shoot. In Bob’s eyes, the woods and mountains were his home away from home. The ability Bob had to make others smile contributed to the endless amounts of friendships he developed over his 57 years of life. Throughout it all, Bob showed how truly tough he was from his diagnoses, to the time of his passing. Although pancreatic cancer took his body, his soul will forever stay in our hearts. Bob’s memories will be a continuous reminder that laughter and a little bit of beer can cure anything, and that the words “ I love you”, mean the world. In lieu of flowers, the family has requested all donations to be made to https://ucancervive.com/in-memory-of-robert-schumacher/ in Bob’s memory. 100% of all donations will be used to find a cure for pancreatic cancer, in an effort make this world cancer free. "Email Address" would like to share the life celebration of Robert C. Schumacher, Jr.. Click on the "link" to go to share a favorite memory or leave a condolence message for the family.